	Software construction the central activity in software development;construction is the only activity that’s guaranteed to happen on every project. 	The main activities in construction are detailed design, coding, debugging, and developer testing. 	The quality of the construction substantially affects the quality of the software. 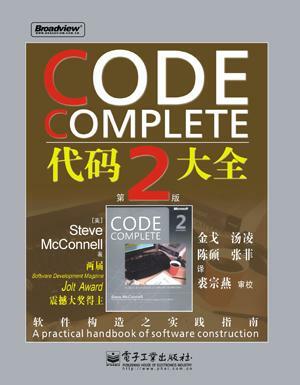 	In the final analysis, your understanding of how to do construction determines how good a programmer you are, and that’s the subject of the rest of the book. 	Metaphors are heuristics, not algorithms. As such, they tend to be a little sloppy. 	Metaphors help you understand the software-development process by relating it to other activities you already know about. 	Some metaphors are better than others. 	Treating software construction as similar to building construction suggests that careful preparation is needed and illuminates the difference between large and small projects. 	Thinking of software-development practices as tools in an intellectual toolbox suggests further that every programmer has many tools and that no single tool is right for every job. Choosing the right tool for each problem is one key to being an effective programmer. 	The overarching goal of preparing for construction is risk reduction. Be sure your preparation activities are reducing risks, not increasing them. 	If you want to develop high-quality software, attention to quality must be part of the software-development process from the beginning to the end. At tention to quality at the beginning has a greater influence on product quality than attention at the end. 	Part of a programmer’s job is to educate bosses and coworkers about the software-development process, including the importance of adequate preparation before programming begins. 	The kind of project you’re working significantly affects construction prerequisites—many projects should be highly iterative, and some should be more sequential. 	If a good problem definition hasn’t been specified, you might be solving the wrong problem during construction. 	If a good requirements work hasn’t been done, you might have missed important details of the problem. Requirements changes cost 20 to 100 times as much in the stages following construction as they do earlier, so be sure the requirements are right before you start programming. 	If a good architectural design hasn’t been done, you might be solving the right problem the wrong way during construction. The cost of architectural changes increases as more code is written for the wrong architecture, so be sure the architecture is right too. 	Understand what approach has been taken to the construction prerequisites on your project and choose your construction approach accordingly. 	Every programming language has strengths and weaknesses. Be aware of the specific strengths and weaknesses of the language you’re using. 	Establish programming conventions before you begin programming. It’s nearly impossible to change code to match them later. 	More construction practices exist than you can use on any single project.Consciously choose the practices that are best suited to your project. 	Your position on the technology wave determines what approaches will be effective—or even possible. Identify where you are on the technology wave, and adjust your plans and expectations accordingly. 	Software’s Primary Technical Imperative is managing complexity. This is accomplished primarily through a design focus on simplicity. 	Simplicity is achieved in two general ways: minimizing the amount of essential complexity that anyone’s brain has to deal with at any one time and keeping accidental complexity from proliferating needlessly. 	Design is heuristic. Dogmatic adherence to any single methodology hurts creativity and hurts your programs. 	Good design is iterative; the more design possibilities you try, the better your final design will be. 	Information hiding is a particularly valuable concept. Asking, “What should I hide?” settles many difficult design issues. 	Lots of useful, interesting information on design is available outside this book. The perspectives presented here are just the tip of the iceberg. 	Class interfaces should provide a consistent abstraction. Many problems arise from violating this single principle. 	A class interface should hide something—a system interface, a design decision, or an implementation detail. 	Containment is usually preferable to inheritance unless you’re modeling an “is a” relationship. 	Inheritance is a useful tool, but it adds complexity, which is counter to the Primary Technical Imperative of minimizing complexity. 	Classes are your primary tool for managing complexity. Give their design as much attention as needed to accomplish that objective. 	The most important reason to create a routine is to improve the intellectual manageability of a program, and you can create a routine for many other good reasons. Saving space is a minor reason; improved readability, reliability, and modifiability are better reasons. 	Sometimes the operation that most benefits from being put into a routine of its own is a simple one. 	The name of a routine is an indication of its quality. If the name is bad and it’s accurate, the routine might be poorly designed. If the name is bad and it’s inaccurate, it’s not telling you what the program does. Either way, a bad name means that the program needs to be changed. 	Functions should be used only when the primary purpose of the function is to return the specific value described by the function’s name. 	Careful programmers use macro routines and inline routines with care, and only as a last resort. 	Defensive-programming techniques make errors easier to find, easier to fix, and less damaging to production code. 	Assertions can help detect errors early, especially in large systems, high reliability systems, and fast-changing code bases. 	The decision about how to handle bad inputs is a key error-handling decision, and a key high-level design decision. 	Exceptions provide a means of handling errors that operates in a different dimension from the normal flow of the code. They are a valuable addition to the programmer’s toolkit when used with care, and should be weighed against other error-processing techniques. 	Constraints that apply to the production system do not necessarily apply to the development version. You can use that to your advantage, adding code to the development version that helps to flush out errors quickly. 	Constructing classes and constructing routines tends to be an iterative process. Insights gained while constructing specific routines tend to ripple back through the class’s design. 	Writing good pseudocode calls for using understandable English, avoiding features specific to a single programming language, and writing at the level of intent—describing what the design does rather than how it will do it. 	The Pseudocode Programming Process is a useful tool for detailed design and makes coding easy. Pseudocode translates directly into comments,ensuring that the comments are accurate and useful. 	Don’t settle for the first design you think of. Iterate through multiple approaches in pseudocode and pick the best approach before you begin writing code. 	Check your work at each step and encourage others to check it too. That way, you’ll catch mistakes at the least expensive level, when you’ve invested the least amount of effort. 	Data initialization is prone to errors, so use the initialization techniques described in this chapter to avoid the problems caused by unexpected initial values. 	Minimize the scope of each variable. Keep references to it close together. Keep it local to a routine or class. Avoid global data. 	Keep statements that work with the same variables as close together as possible. 	Early binding tends to limit flexibility, but minimize complexity. Late binding tends to increase flexibility, but at the price of increased complexity. 	Use each variable for one and only one purpose. 	Good variable names are a key element of program readability. Specific kinds of variables such as loop indexes and status variables require specific considerations. 	Names should be as specific as possible. Names that are vague enough or general enough to be used for more than one purpose are usually bad names. 	Naming conventions distinguish among local, class, and global data. They distinguish among type names, named constants, enumerated types, and variables. 	Regardless of the kind of project you’re working on, you should adopt a variable naming convention. The kind of convention you adopt depends on the size of your program and the number of people working on it. 	Abbreviations are rarely needed with modern programming languages. If you do use abbreviations, keep track of abbreviations in a project dictionary or use the Standardized Prefixes approach. 	Working with specific data types means remembering many individual rules for each type. Use the checklist to make sure that you’ve considered the common problems. 	Creating your own types makes your programs easier to modify and more self-documenting, if your language supports that capability. 	When you create a simple type using typedef or its equivalent, consider whether you should be creating a new class instead. 	Structures can help make programs less complicated, easier to understand,and easier to maintain. 	Whenever you consider using a structure, consider whether a class would work better. 	Pointers are error prone. Protect yourself by using access routines or classes and defensive-programming practices. 	Avoid global variables, not just because they’re dangerous, but because you can replace them with something better. 	If you can’t avoid global variables, work with them through access routines.Access routines give you everything that global variables give you, and more. 	The strongest principle for organizing straight-line code is order dependencies. 	Dependencies should be made obvious through the use of good routine names, parameter lists, comments, and—if the code is critical enough—housekeeping variables. 	If code doesn’t have order dependencies, keep related statements as close together as possible. 	For simple if-elses, pay attention to the order of the if and else clauses,especially if they process a lot of errors. Make sure the nominal case is clear. 	For if-then-else chains and case statements, choose an order that maximizes readability. 	Use the default clause in a case statement or the last else in a chain of if then-elses to trap errors. 	All control constructs are not created equal. Choose the control construct that’s most appropriate for each section of code. 	Loops are complicated. Keeping them simple helps readers of your code. 	Techniques for keeping loops simple include avoiding exotic kinds of loops, minimizing nesting, making entries and exits clear, and keeping housekeeping code in one place. 	Loop indexes are subjected to a great deal of abuse. Name them clearly and use them for only one purpose. 	Think the loop through carefully to verify that it operates normally under each case and terminates under all possible conditions. 	Multiple returns can enhance a routine’s readability and maintainability, and they help prevent deeply nested logic. They should, nevertheless, be used carefully. 	Recursion provides elegant solutions to a small set of problems. Use it carefully, too. 	In a few cases, gotos are the best way to write code that’s readable and maintainable. Such cases are rare. Use gotos only as a last resort. 	Tables provide an alternative to complicated logic and inheritance structures.If you find that you’re confused by a program’s logic or inheritance tree, ask yourself whether you could simplify by using a lookup table. 	One key consideration in using a table is deciding how to access the table.You can access tables using direct access, indexed access, or stair-step access. 	Another key consideration in using a table is deciding what exactly to put into the table. 	Making boolean expressions simple and readable contributes substantially to the quality of your code. 	Deep nesting makes a routine hard to understand. Fortunately, you can avoid it relatively easily. 	Structured programming is a simple idea that is still relevant: you can build any program out of a combination of sequences, selections, and iterations. 	Minimizing complexity is a key to writing high-quality code. 	Quality is free, in the end, but it requires a reallocation of resources so that defects are prevented cheaply instead of fixed expensively. 	Not all quality-assurance goals are simultaneously achievable. Explicitly decide which goals you want to achieve, and communicate the goals to other people on your team. 	No single defect-detection technique is effective by itself. Testing by itself is not effective at removing errors. Successful quality-assurance programs use several different techniques to detect different kinds of errors. 	You can apply effective techniques during construction and many equally powerful techniques before construction. The earlier you find a defect, the less damage it will cause. 	Quality assurance in the software arena is process-oriented. Software development doesn’t have a repetitive phase that affects the final product like manufacturing does, so the quality of the result is controlled by the process used to develop the software. 	Collaborative development practices tend to find a higher percentage of defects than testing and to find them more efficiently. 	Collaborative development practices tend to find different kinds 674 nds of errors than testing does, implying that you need to use both reviews and testing to ensure the quality of your software. 	Formal inspections use checklists, preparation, well-defined roles, and continual process improvement to maximize error-detection efficiency. They tend to find more defects than walkthroughs. 	Pair programming typically costs about the same as inspections and produces similar quality code. Pair programming is especially valuable when schedule reduction is desired. Some developers prefer working in pairs to working solo. 	Formal inspections can be used on workproducts such as requirements, designs, and test cases as well as on code. 	Walkthroughs and code reading are alternatives to inspections. Code reading offers more flexibility in using each person’s time effectively. 	Testing by the developer is a key part of a full testing strategy. Independent testing is also important but is outside the scope of this book. 	Writing test cases before the code takes the same amount of time and effort as writing the test cases after the code, but it shortens defect-detection debug-correction cycles. 	Even considering the numerous kinds of testing available, testing is only one part of a good software-quality program. High-quality development methods, including minimizing defects in requirements and design, are at least as important. Collaborative development practices are also at least as effective at detecting errors as testing and detect different kinds of errors. 	You can generate many test cases deterministically using basis testing, data flow analysis, boundary analysis, classes of bad data, and classes of good data. You can generate additional test cases with error guessing. 	Errors tend to cluster in a few error-prone classes and routines. Find that error-prone code, redesign it, and rewrite it. 	Test data tends to have a higher error density than the code being tested. Because hunting for such errors wastes time without improving the code, test-data errors are more aggravating than programming errors. Avoid them by developing your tests as carefully as your code. 	Automated testing is useful in general and essential for regression testing. 	In the long run, the best way to improve your testing process is to make it regular, measure it, and use what you learn to improve it. 	Debugging is a make-or-break aspect of software development. The best approach is to use other techniques described in this book to avoid defects in the first place. It’s still worth your time to improve your debugging skills, however, because the difference between good and poor debugging performance is at least 10 to 1. 	A systematic approach to finding and fixing errors is critical to success. Focus your debugging so that each test moves you a step forward. Use the Scientific Method of Debugging. 	Understand the root problem before you fix the program. Random guesses about the sources of errors and random corrections will leave the program in worse condition than when you started. 	Set your compiler warning to the pickiest level possible, and fix the errors it reports. It’s hard to fix subtle errors if you ignore the obvious ones. 	Debugging tools are powerful aids to software development. Find them and use them. Remember to use your brain at the same time. 	Program changes are a fact of life both during initial development and after initial release. 	Software can either improve or degrade as it’s changed. The Cardinal Rule of Software Evolution is that internal quality should improve with age. 	One key to success in refactoring is learning to pay attention to the numerous warning signs or smells that indicate a need to refactor. 	Another key to success is learning numerous specific refactorings. 	A final key to success is having a strategy for refactoring safely. Some approaches to refactoring are better than others. 	Refactoring during development is the best chance you’ll get to improve your program, to make all the changes you’ll wish you’d made the first time.Take advantage of it! 	Performance is only one aspect of overall software quality, and it’s usually not the most important. Finely tuned code is only one aspect of overall performance, and it’s usually not the most significant. Program architecture, detailed design, and data-structure and algorithm selection usually have more influence on a program’s execution speed and size than the efficiency of its code does. 	Quantitative measurement is a key to maximizing performance. It’s needed to find the areas in which performance improvements will really count, and it’s needed again to verify that optimizations improve rather than degrade the software. 	Most programs spend most of their time in a small fraction of their code. You won’t know which code that is until you measure it. 	Multiple iterations are usually needed to achieve desired performance improvements through code tuning. 	The best way to prepare for performance work during initial coding is to write clean code that’s easy to understand and modify. 	Results of optimizations vary widely with different languages, compilers, and environments. Without measuring each specific optimization, you’ll have no idea whether it will help or hurt your program. 	The first optimization is often not the best. Even after you find a good one, keep looking for one that’s better. 	Code tuning is a little like nuclear energy. It’s a controversial, emotional topic. Some people think it’s so detrimental to reliability and maintainability that they won’t do it at all. Others think that with proper safeguards, it’s beneficial. If you decide to use the techniques in this chapter, apply them with care. 	As project size increases, communication needs to be supported. The point of most methodologies is to reduce communications problems, and a methodology should live or die on its merits as a communication facilitator. 	All other things being equal, productivity will be lower on a large project than on a small one. 	All other things being equal, a large project will have more errors per line of code than a small one. 	Activities that are taken for granted on small projects must be carefully planned on larger ones. Construction becomes less predominant as project size increases. 	Scaling-up a light-weight methodology tends to work better than scaling down a heavy-weight methodology. The most effective approach of all is using a “right-weight” methodology. 	Good coding practices can be achieved either through enforced standards or through more light-handed approaches. 	Configuration management, when properly applied, makes programmers’jobs easier. This especially includes change control. 	Good software estimation is a significant challenge. Keys to success are using multiple approaches, tightening down your estimates as you work your way into the project, and making use of data to create the estimates. 	Measurement is a key to successful construction management. You can find ways to measure any aspect of a project that are better than not measuring it at all. Accurate measurement is a key to accurate scheduling, to quality control, and to improving your development process. 	Programmers and managers are people, and they work best when treated as such. 	The construction sequence and integration approach affect the order in which classes are designed, coded, and tested. 	A well-thought-out integration order reduces testing effort and eases debugging. 	Daily builds can reduce integration problems, improve developer morale, and provide useful project management information. 	Incremental integration comes in several varieties, and, unless the project is trivial, any one of them is better than phased integration. 	The best integration approach for any specific project is usually a combination of top-down, bottom-up, risk-oriented, and other integration approaches. T-shaped integration and vertical-slice integration are two approaches that often work well. 	Programmers sometimes overlook some of the most powerful tools for years before discovering them. 	Good tools can make your life a lot easier. 	Tools are readily available for editing, analyzing code quality, refactoring, version control, debugging, testing, and code tuning. 	You can make many of the special-purpose tools you need. 	The first priority of visual layout is to illuminate the logical organization of the code. Criteria used to assess whether the priority is achieved include accuracy, consistency, readability, and maintainability. 	Looking good is secondary to the other criteria—a distant second. If the other criteria are met and the underlying code is good, however, the layout will look fine. 	Visual Basic has pure blocks and the conventional practice in Java is to use pure block style, so you can use a pure-block layout if you program in those languages. In C++, either pure-block emulation or begin-end block boundaries work well. 	Structuring code is important for its own sake. The specific convention you follow may be less important than the fact that you follow some convention consistently. A layout convention that’s followed inconsistently might actually hurt readability. 	Many aspects of layout are religious issues. Try to separate objective preferences from subjective ones. Use explicit criteria to help ground your discussions about style preferences. 	The question of whether to comment is a legitimate one. Done poorly, commenting is a waste of time and sometimes harmful. Done well, commenting is worthwhile. 	The source code should contain most of the critical information about the program. As long as the program is running, the source code is more likely than any other resource to be kept current, and it’s useful to have important information bundled with the code. 	Good code is its own best documentation. If the code is bad enough to require extensive comments, try first to improve the code so that it doesn’t need extensive comments. 	Comments should say things about the code that the code can’t say about itself—at the summary level or the intent level. 	Some commenting styles require a lot of tedious clerical work. Develop a style that’s easy to maintain. 	Your personal character directly affects your ability to write computer programs. 	The characteristics that matter most are humility, curiosity, intellectual honesty, creativity and discipline, and enlightened laziness. 	The characteristics of a superior programmer have almost nothing to do with talent and everything to do with a commitment to personal development. 	Surprisingly, raw intelligence, experience, persistence, and guts hurt as much as they help. 	Many programmers don’t actively seek new information and techniques and instead rely on accidental, on-the-job exposure to new information. If you devote a small percentage of your time to reading and learning about programming, after a few months or years you’ll dramatically distinguish yourself from the programming mainstream. 	Good character is mainly a matter of having the right habits. To be a great programmer, develop the right habits, and the rest will come naturally. 	One primary goal of programming is managing complexity. 	The programming process significantly affects the final product. 	Team programming is more an exercise in communicating with people than in communicating with a computer. Individual programming is more an exercise in communicating with yourself than with a computer. 	When abused, a programming convention can be a cure that’s worse than the disease. Used thoughtfully, a convention adds valuable structure to the development environment and helps with managing complexity and communication. 	Programming in terms of the problem rather than the solution helps to manage complexity. 	Paying attention to intellectual warning signs like the “irritation of doubt” is especially important in programming because programming is almost purely a mental activity. 	The more you iterate in each development activity, the better the product of that activity will be. 	Dogmatic methodologies and high-quality software development don’t mix. Fill your intellectual toolbox with programming alternatives and improve your skill at choosing the right tool for the job.